Create that perfect balance of rustic meets modern with our precision cut stacked stone ledger panels. 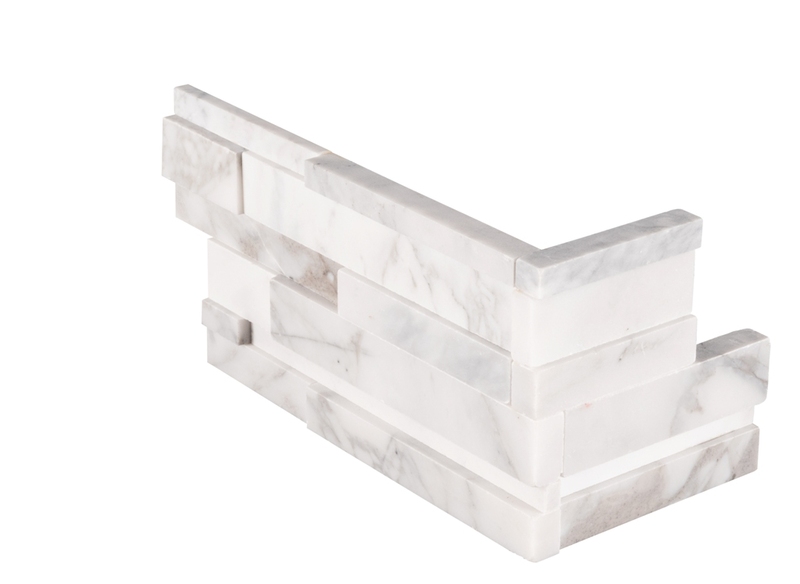 These tightly fit stone ledger pieces of varying thicknesses and lengths deliver a statement look to any exterior or interior space Calacatta Cressa 3D L- Panels 6x12x6 in. Wall Tile is a Natural Stone marble with white tones. Strips of stone are stacked and glued together to form a panel that is easy to install. These are L shaped corner pieces should the project demand a wrap over of a wall or any space.